Comentarios Bibliográficos: Pettit A, Ming K, Hume D, Raggat L. Osteal macrophages: a new twist on coupling during bone dynamics. Bone 2008;43: 976-982. 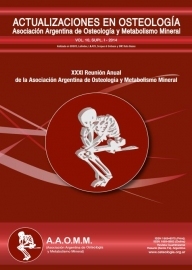 Comentarios Bibliográficos: Maruotti N, Corrado A, Grano M, Colucci S, Cantatore F. Normal and osteoporotic human osteoblast behaviour after 1,25-dihydroxy-vitamin D3 stimulation. 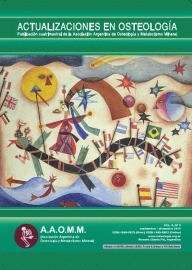 Rheumatol Int 2009; 29: 667-72. 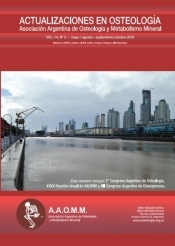 Comentarios Bibliográficos: Bachrach L, Ward L. Clinical Review: Bisphosphonate use in Chilhood Osteoporosis. J Clin Endocrinol Metab 2009; 94(2):400-9. Pettit A, Ming K, Hume D, Raggat L. Osteal macrophages: a new twist on coupling during bone dynamics. Bone 2008;43: 976-982. 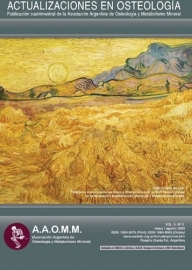 Maruotti N, Corrado A, Grano M, Colucci S, Cantatore F. Normal and osteoporotic human osteoblast behaviour after 1,25-dihydroxy-vitamin D3 stimulation. 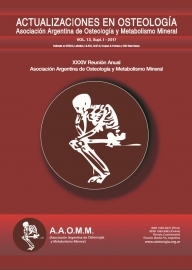 Rheumatol Int 2009; 29: 667-72. Bachrach L, Ward L. Clinical Review: Bisphosphonate use in Chilhood Osteoporosis. J Clin Endocrinol Metab 2009; 94(2):400-9.